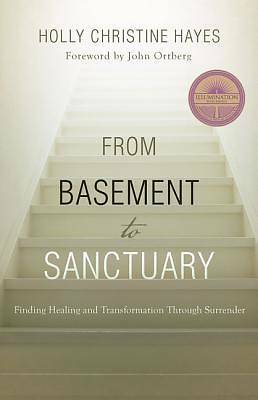 From Basement to Sanctuary is a radical story of conversion and transformation that enlightens readers on what the church can learn from the twelve-step recovery movement, and who the God is that plucks His beloved children out of the basement. Author Holly Christine Hayes spent her teen and young adult life mired in alcoholism and drug addiction, in the grips of a downward spiral that led to a life of trauma, shame, and eventual homelessness. After an encounter with God in a public bathroom in 2001, her life was forever changed. God miraculously healed her and delivered her from her addiction. But it took years for her to find out who the God was that saved her. It wasn't until she came face to face with Jesus through an accidental encounter with the Bible that she learned He was the God who saved her in that bathroom all those years ago. Through the telling of her story, the author takes readers on a journey through the recovery meetings that gather in church basements to the sanctuary of the church. All the while, she shares lessons she learned in the basement about who God really is and the miraculous ways He wants to heal our hurts, habits, sins and setbacks. "Holly's story is a gripping journey of the soul for any reader who's simply interested in the human condition. Her account of how a heart can be vulnerable, what addiction can do and feel like from the inside, and where both pain and hope can be found will be an enormous grip for anyone who wrestles with addiction or loves someone who does." --John Ortberg, senior pastor, Menlo Church, and author of All the Places to Go...How Will You Know? "Holly Hayes courageously takes us on a beautiful journey with this book that lights the way and gives hope to its readers, while detailing how she managed to survive, recover, and thrive. It's an inspiring story that can help anyone who wants to lead a meaningful, sober, spiritual, healthy, and fulfilling life. It's a tale about love, and that's why anyone can learn and relate to this book. It's a must-read "
"I first met Holly when she was leading worship for the church where I served as executive pastor. I was instantly drawn to her joy and engaging presence. She seemed to truly believe every word of praise that she sang. It was clear that God is real and very near to her. When you read her story you cannot help but be moved by the beautiful and miraculous grace of God. The vulnerability with which Holly shares her story is arresting but her passion for the hope that she has found in Jesus is even more compelling. If the miracles of the New Testament feel like fairy tales to you, reading From Basement to Sanctuary will remind you that God is still doing miracles today, and one of them is Holly Hayes."